You’re ready for a new home for any number of reasons. As a result, you’ve found yourself wondering, should I buy new construction? Or do I want to buy a resale house and avoid the ins and out of building? Here are 5 benefits to consider when choosing to buy new construction! 1. 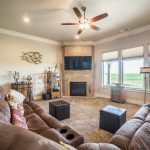 Energy Efficiency: Whether you pride yourself on your contribution toward benefiting the environment, or keeping your energy bills low, a newly built home wins. 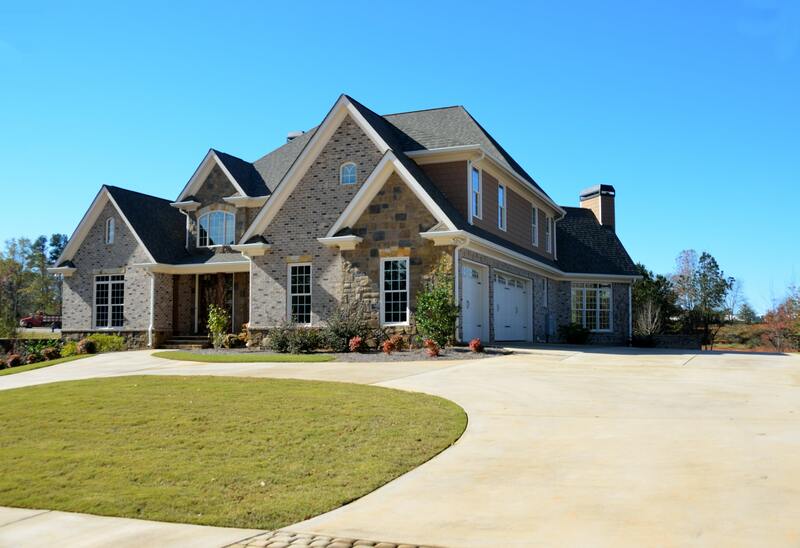 It’s nearly impossible for a resale house to match the efficiency of today’s new homes. From design flaws, to building code standards; energy efficient materials to certified energy efficient appliances, older homes simply don’t match up. Not only that, but most new construction homes will offer improved air filtration systems, increasing air quality; a big plus here in Eastern Washington! 2. 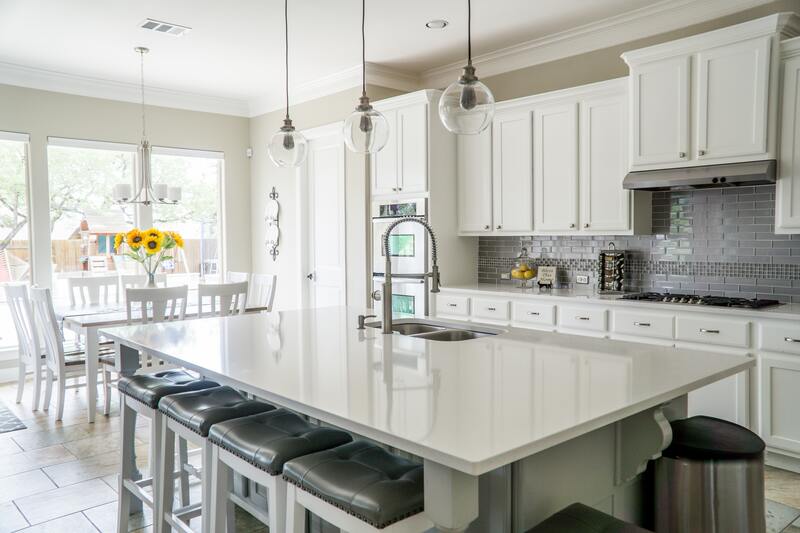 Updates and Home Improvement Costs: First of all, when you buy a brand new home, whether it’s a spec home or custom designed, everything is new! There aren’t any looming home improvement costs, and you will have warranties on many of the more expensive components. Most HVAC systems have lifespans up to 20 years; Roofs – 25 years; etc. Now, consider a previously owned house. Below are many of the potential home improvements that may need to be addressed within the first few years of ownership. The national average costs for these projects, sourced from www.homeadvisor.com, will give you an idea of the true cost of buying resale. All of these costs are averages, and when you buy a resale property, you won’t have to do everything on this list. It’s simply something to consider when evaluating a house. Write down what projects you plan on completing within the first few year, add up the average costs, and see for yourself what you’re looking at. 3.Resale Value: Most people, and by that I mean the national average, sell their homes within 5 years. There are a plethora of reasons for this; job change, more kids, children move out, divorce, etc. If you decide a brand new built home is right for you, if and when you decide to sell that home, it will be more desirable than a 20-year-old property. It will also be more energy efficient, have a more updated style, and require less updating to be ready for the market. 4. Safety: Most, if not all, new homes have improved safety features. They are being built with more modern, informed, and stringent building codes in mind. Also, the materials used have been researched and improved upon from previous generations. From electrical wiring standards to insulation materials, today’s home are far more safety conscious. 5. Customization: If you are moving forward with new construction, you have the option to work directly with a builder. You can customize the home to your liking; different floor plans, building materials, technology improvements, paint, etc. Working with a builder may seem intimidating, but a good buyer’s agent can give you the peace of mind you need. An established real estate agent, familiar with local builders, new construction building locations, and your needs, can make buying a newly built house a seamless process. As a final note, it is worth recognizing that new construction typically is priced higher, per square foot, than existing properties (resale properties). This is an effect of the cost of materials, land values increasing, and supply and demand. Therefore, if your only concern is the purchase price upfront, a resale home will most likely afford you more square footage for the same price. However, if you are looking for value, resell ability, and aren’t interested in looming home improvements, new construction can be an amazing opportunity! 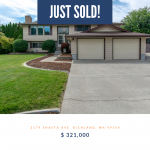 If you don’t already have a real estate agent familiar and comfortable with navigating new home sales in the Tri-Cities, please Contact Me Now. Need to Sell A House? Visit the Seller’s Homepage! When Is The Best Time of Year to Sell My House? The VA Home Loan: What Your Veteran Needs To Know! 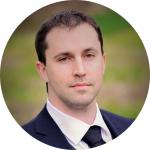 As both a US Army veteran and a Realtor©, I feel personally motivated to help educate fellow veterans and their friends and family about the VA home loan. Many people believe that a VA home loan is provided directly by the U.S. Department of Veterans Affairs. This is almost never the case. In addition, many veterans believe they won’t need any money to buy a house with this loan. As a result, some surprises may be in store for them if they aren’t fully informed about this program and how to navigate it. The VA Home Loan is almost always a VA-Backed home loan: This means the home loan is partially guaranteed by the US Dept of Veterans Affairs for the sake of your private lender. If a veteran uses their VA home loan benefit to secure a mortgage for a home, and that home goes into foreclosure, the VA allows the lender to recover the guaranteed portion of the loan to cover their losses. This provides much less risk for a private lender, making it more likely for them to issue a veteran a loan. As a bonus, private lenders will typically offer more favorable terms to veterans. Most banks, credit unions, and mortgage brokers offer a VA-Backed home loan: Nearly any institution that offers home loans will offer a VA home loan. However, not all lenders offer the same interests rates, or origination and lending fees. Go out and shop around, to at least three different lenders, to compare different loan terms. $0 Down doesn’t mean no money out of pocket: When lenders advertise $0 money down, they are referring to the down payment. Typically a home buyer will need anywhere from 3-15% of the purchase price in cash for a down payment. On a $200,000 house, that’s $6,000 – $30,000. Clearly $0 down is amazing!! But, when anyone buys a house, there are closing costs. Closing costs include the lenders Origination Fee, the Title Company’s fee, prepaid insurance, and a couple of others. Make sure you ask how much you will need to cover, or have the seller cover, in closing costs. 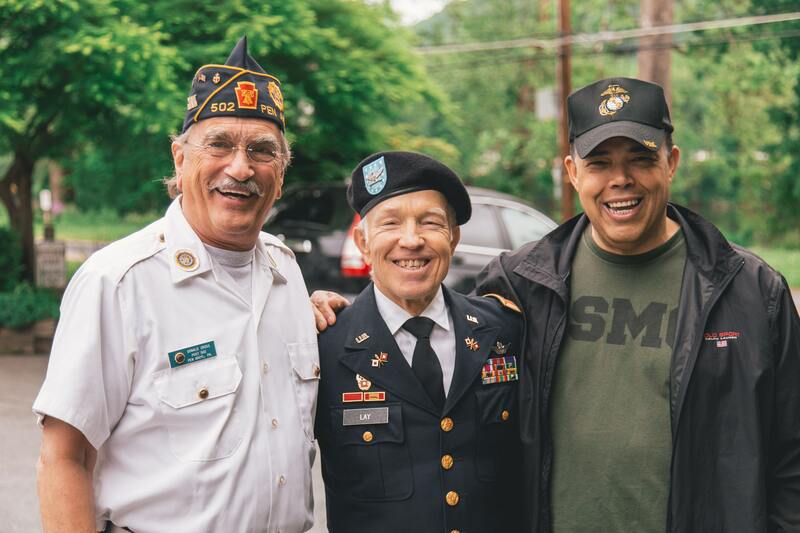 The VA-backed home loan is a phenomenal and completely deserved benefit to veterans. I used it to buy my house, and love all the benefits it includes. There is more to know, but the key highlights have been mentioned above. Please make sure any friends and family you know that are US military veterans know this information! Reach out to me at my contact information below if you have any questions about the VA home loan, i’m always available to help a fellow service member. You’ve receive an offer on your house! Now what? The buyer will hire a professional to inspect the house for any disrepair. 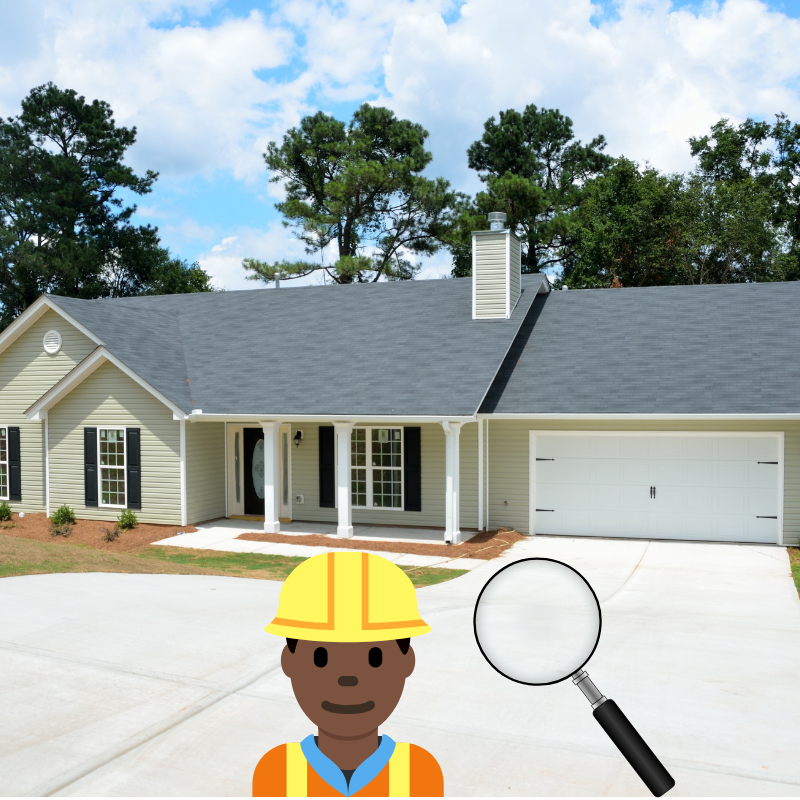 Here are 5 steps you can take to have a smooth home inspection! 1. Go through and make sure all utility systems and appliances are up and running. 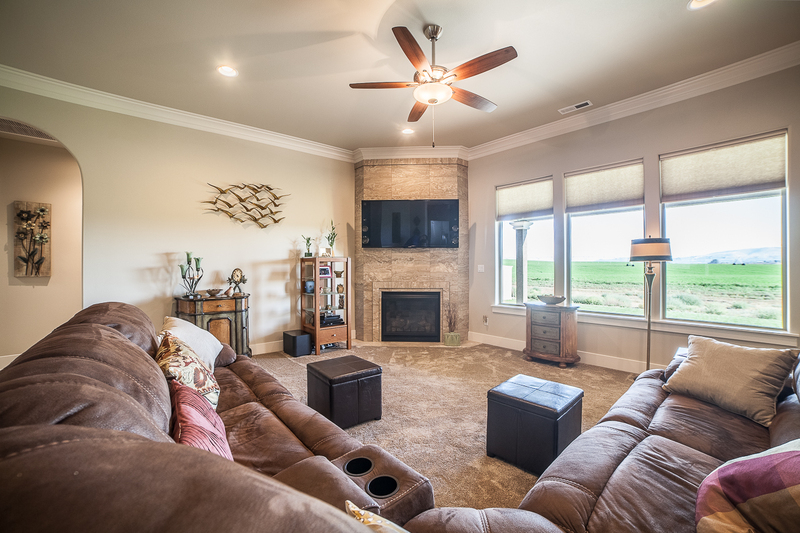 This includes the gas fireplaces, heat pumps and furnaces, dishwashers, ceiling fans, bathroom fans, and all light bulbs. If a hallway light is out, simply because it needs a new bulb, it may get called out for not being functional. So, avoid this issue by going through and checking everything with a switch! 2. Clear access to the attic, crawl space, and electric panel. The home inspector will need access to these areas to assess the condition of the foundation and roof. Also, the electric panel must have clear access, as the inspector will take off the cover and verify wiring is up to code. 3. Two commonly called out issues, which are currently required by state laws, are carbon monoxide detectors and earthquake straps for water heaters. There must be a carbon monoxide detector on each floor in main common areas. 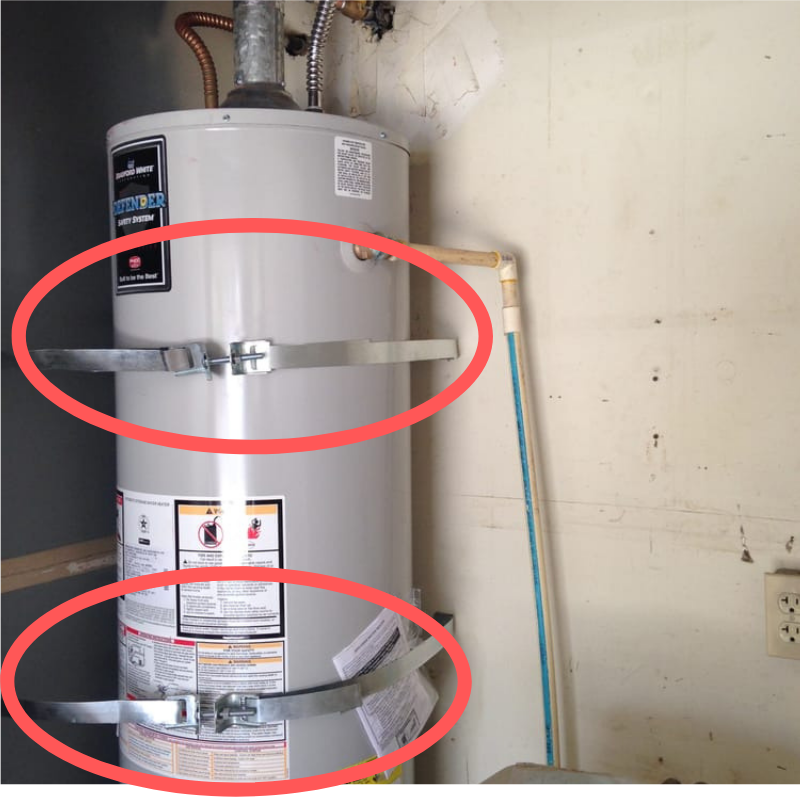 In addition, an earthquake strap is required for any traditional water heater. These are easy to install, inexpensive, and can be picked up at your nearest home improvement store. 4. Check all water supply sources and sink drains. These commonly have small leaks that can easily be addressed. Best to take some time and check all potential leak sights to prevent them from being called out by the inspector. Also, clear out anything in the bathtub and sinks, as all the plumbing fixtures will be ran during the inspection. 5. Make plans for you, any family members, and any pets for at least 3 hours outside the home at the time of the inspection. If you can’t bring your pet with you, make sure they are properly secured in a kennel for their safety. As a final note, many sellers want to know who will be at the house during the time of the inspection. The buyer’s real estate agent will be there to provide access to the property. Clearly, the home inspector hired by the buyer. Finally, the home buyer may elect to be there as well. Feel free to ask your agent to confirm that the buyer’s inspector is licensed and bonded or insured before the inspection. Real estate agents participate in home inspections regularly. If you have any specific concerns, ask your listing agent! Today’s market is without a doubt a sellers market. That’s the good news! However, that doesn’t mean your house will sell easily if you put it on the market as is. First impressions are lasting impressions, so it’s time to get to work! Let’s take a look at 10 steps you can take to make a lasting impression. 1. Less is More: When potential buyers walk through a house, they want to feel a connection and feel safe. If there is disorganization, full counter tops, and countless knick-knacks all over, this will subconsciously cause anxiety and discomfort. Take the time to pack up and put away all the ‘extras’ around the house. 2. Clean: Traditional vacuuming, wiping down counters, and picking up clutter needs to be just the beginning. Deep cleaning bathrooms, dusting blinds, clearing out window tracks; these are just a few of the ‘must do’ items. A professional cleaning service is probably worth the money on this one. 3. Neutral Colors: I know you loved the bubble gum pink for your daughter’s room, but now it’s time to bring back the neutral colored walls for future homeowners. They may want to paint it their own colors after they move it, but giving them a blank pallet to work off of is important. 4. Curb Appeal: More than once I’ve taken buyer’s out to tour properties and they’ve said no before stepping inside. Just as you would take a shower, style your hair, and put on clean clothes for a first date, it’s important the outside of your house presents well too! First impressions are lasting impressions, and if it looks like you don’t take care of the outside of your home, buyer’s will wonder what kind of upkeep you did since you’ve lived there. Take some time to clean the entryway, pick weeds, trim bushes, and add some decor to the front of the house. 5. Organize your closets: When people tour homes they are considering owning, they will open closet doors. Not only will having them organized make them appear more spacious, but will give buyers confidence that the home has been well maintained. 6. De-Personalize: This has been your home for many years, and you likely have family photos and personal decor all about. Take down and put away these items to de-personalize. You want potential buyers to envision themselves living in the house. That can be difficult when they see your life and your family all around. 7. Finish the ‘to-do’ list: Everyone has a list of micro projects to take care of around the house. Now is the time to knock it out. Buyer’s will notice small deficiencies and de-value the house. So whether it’s grout that needs re-doing, touch up paint in the living room, or a gas seal for a window pain, get it done. 9. Odor control: If you’ve lived with pets in the house for many years, you may not notice your animals odors as readily as others. It’s worth it to at least get the carpets cleaned to manage that smell. Also, on the day of showings and open houses, keep away from strong smelling foods. Maybe bake some cookies, or get a cookie smelling candle! 10. Downsize furniture: Take some time to evaluate your furniture. Bulky pieces, or those a little too big for the room they are in can make your home feel smaller than it is. In addition, you want buyers to feel a smooth flow throughout the house. This could be a good job for an interior decorator or professional stager! Selling your house is a major event! Typically, something has changed in your life that has prompted this decision. Maybe you need more space, or maybe your kids have moved out and it’s time to downsize. Regardless, when you feel it’s about time for a change, you have some choices to make. So the next question you have is, ‘when should i sell my house?’. Most real estate industry professionals agree, along with years of market statistics, that the housing market begins to ramp up in the spring, peaks in the summer, and tapers off in the fall. The conventional wisdom behind this is to make homes available, and moving convenient, for families before the school year starts. So, the big question is, where is the ‘sweet’ spot? Late spring and/or early summer. This is the time of year when the real estate market has begun to get into full swing, and serious home buyers are ready to make a move. The inventory of available houses hasn’t filled up yet, and buyers want to make sure they have time to find the right house and move in with time to spare! Also, if your homes potential pool of buyers probably needs to sell a house to make the transition, you want to give them ample time to get their house on the market during the hot season. Make sure to give your real estate agent a call at least a month before you want your house on the market. It takes time to prepare your home to go live. This includes ‘de-cluttering’ and complete any unfinished projects, schedule professional photography, determine a marketing strategy, and make your home ‘go live’ on the market!